If you have decided to move to the UK with your family, there are many cities other than London that are ideal for families. Here are five options to consider when you are deciding on your new family-friendly city in the UK. 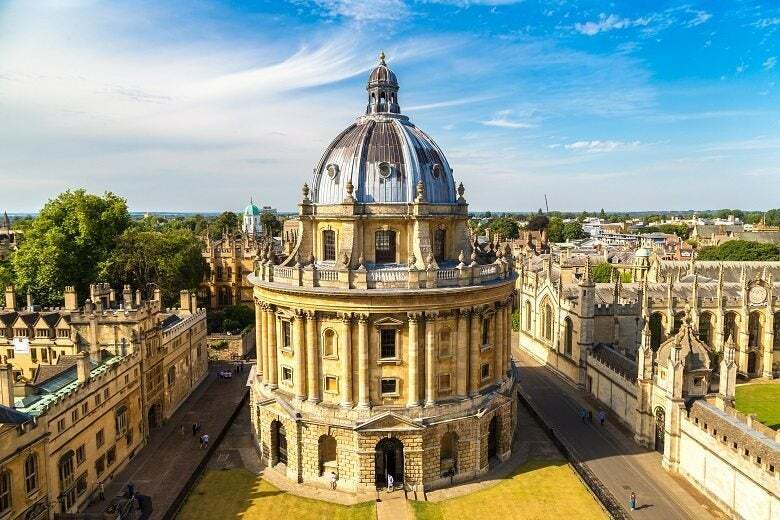 Though Oxford is famous for being the home of Oxford University, there is much more to it. It is an attractive, peaceful, and safe city where you will find lots of suitable housing, and it’s proximity to London is ideal for commuting or for going on family day trips. There are also many lovely parks to enjoy nearby, including seven large parks in Oxford itself. Oxford scores 72 on our quality of life index – compared to London’s 48 – and it has an overall rating of 80. In 2012, it was named the best place to live in the UK out of 36 cities by a PwC and Demos survey. It also has a low unemployment rate of 3.7%, which is way below the national average. Oxford has some excellent public and private schools. The top-ranking public primary schools include St Andrew’s C of E and Beckley C of E. Matthew Arnold School and the Cherwell School are two of the best public secondary schools, and there are also some excellent independent schools including Rye St Antony School and St Clare’s. There are many neighborhoods that are suitable for families. Summertown is one of the most popular, although it is fairly expensive. Kidlington is another popular area, as is Headington. Bristol is a vibrant city with a good economy and an impressive cultural and artistic scene. It is home to popular family attractions like Bristol Zoo Gardens and the SS Great Britain, and it also has plenty of green space. The city is also near to the coast, making day trips to the seaside easy. Bristol scores 67 in our Quality of Life index, and it has an overall MoveHub Rating of 79. In another quality of life index carried out by MoneySupermarket in 2014, it came in fifth position in the UK. Part of this is due to it being more affordable than London while still providing all the benefits that come with living in a thriving cosmopolitan city. Bristol has some excellent schools to choose from. St John’s C of E and Court-de-Wyck are two of the best primary schools, and St Bede’s Catholic College and Redland Green School are highly-rated public secondary schools. There are many good independent schools, with Bristol Grammar and Clifton High being two of the best. One of the most popular places to live for families is Clifton, where you will find a good selection of large Georgian properties. Sneyd Park is quite an upmarket area, but Redland and Montpelier are more affordable. Liverpool provides a fantastic option for families relocating to the UK. The cost of living is low, job opportunities are good, and you will find beautiful countryside and beaches near to the city. Essentially whatever you are looking for in a move to London, you can find in Liverpool. Liverpool scores 83 in our Quality of Life index, and has an overall MoveHub Rating of 81. It was also voted 11th for quality of life in 2014 in the MoneySupermarket index, and the city was voted the European Capital of Culture in 2008. The Blue Coat School, St Edward’s College and Liverpool College are some of the best public secondary schools in Liverpool, and Green Park and Halewood C of E are highly rated primary schools. Some of the best independents include the Blue Coat School and Liverpool College, and there are many more excellent schools to choose from in all age groups. Some of the best family-friendly neighborhoods in Liverpool include Aigburth, Childwall and Bowring Park. If you would prefer to live on the outskirts of the city, you could move to a small nearby village like Crosby or Hightown. The southern coast city of Brighton has everything a family could want from a city. Not only is there plenty to do in the city itself, including the beach and the pier, but you also have the stunning South Downs National Park right next to the city. Brighton has a MoveHub Rating of 80, which puts it just outside the top 100 destinations internationally, and a Quality of Life rating of 62. According to the Safe Shop, it was the 10th safest city in the UK in 2014. Some of the best public secondary schools include Dorothy Stringer and Portslade Aldridge Community Academy, and top-ranking public primary schools include Our Lady of Lourdes RC School and The Glebe Primary School. There are also some excellent independent schools in Brighton, including Brighton College and Brighton Steiner School. Hove Park is one of the most popular neighborhoods for families, where you will find a good selection of semi-detached Edwardian and Victorian houses. Preston Park and the area around Queen’s Park are also popular with families. Cardiff is a beautiful historic city that is home to a number of parks, including the large Bute Park, so there is plenty of green space for children. It is also surrounded by stunning countryside, and it is easy to get out for the day, whether to head to the beach or to take a trip into the Brecon Beacons National Park. If your kids love football or rugby, a trip to the Millennium Stadium is not to be missed. Cardiff was voted the best place in the UK for quality of life in the MoneySuperMarket index in 2014, partly due to its low cost of living and low unemployment rate. One particular area, Llandaff, was also named as one of the best places in the UK to live in the Sunday Times Best Places to Live Guide in 2015. Cardiff has a good selection of high-performing schools for all ages. Cathays High and Cardiff High are good public secondary schools, and there are over 30 primary schools to choose from. Some of the best independent schools include the Cathedral School and Kings Monkton School. Cyncoed is one of the most desirable areas in the city for families. Located in the northeast of the city, it has higher property prices than elsewhere but makes up for it with location. Llandaff is another popular neighborhood for families. There are many more excellent cities in the UK that are ideal for families, but these are five of the best. Research the cities further, and find out how much it would cost to move to each one by filling out the form at the top of the page. Remember that there is more to the UK than London, so keep these and other cities in mind when planning your move to the UK with your family.